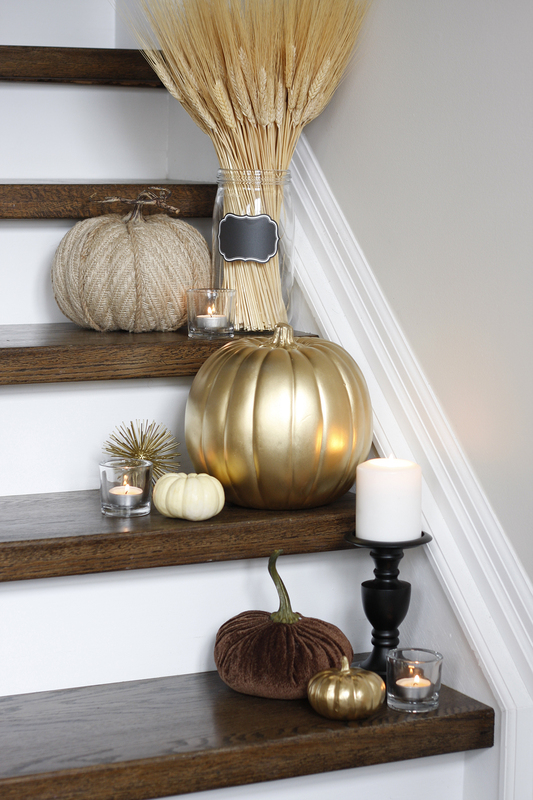 Fall is one of my favourite times of the year and it’s so easy and fun to decorate around the house. 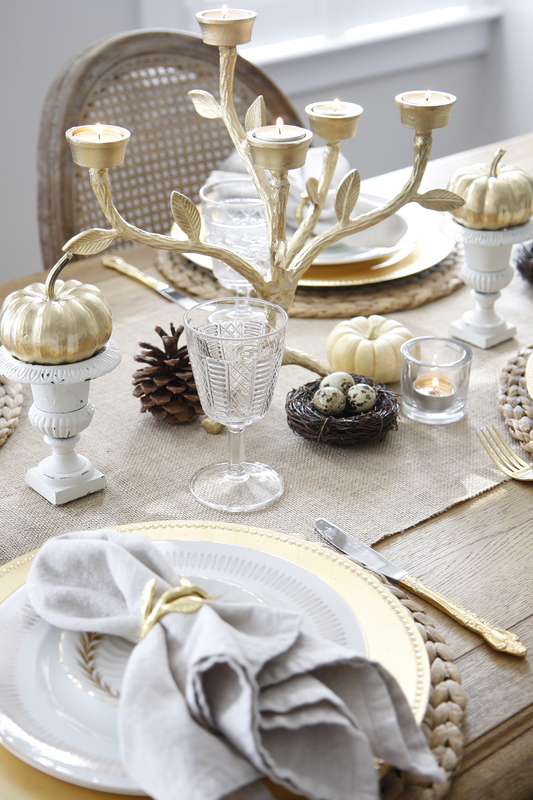 Bringing in aspects of nature like mini pumpkins, pinecones and wheat is both affordable and beautiful. 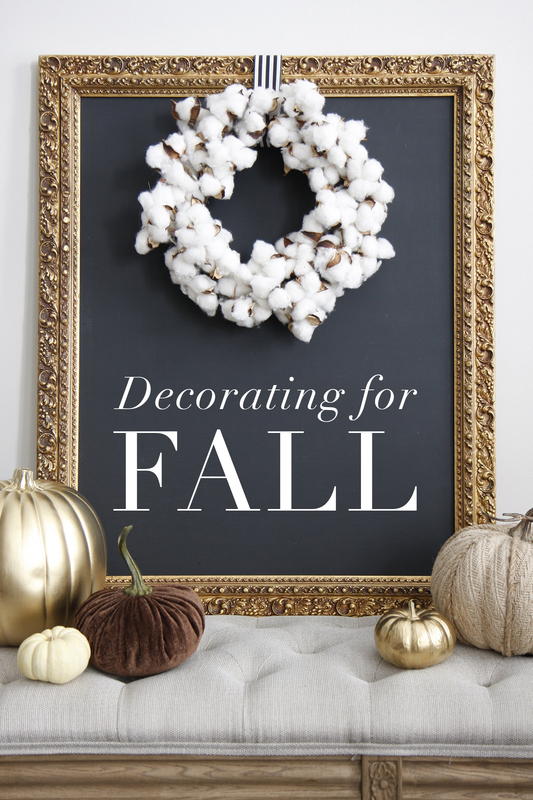 Here are a few key ways that I decorated my house for Fall this year. On the quest for a table runner for quite awhile now, I finally found the perfect one made of a burlap material. Yay! 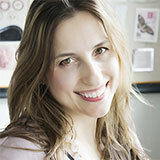 It provides a neutral colour and brings in just a bit of texture to the table. 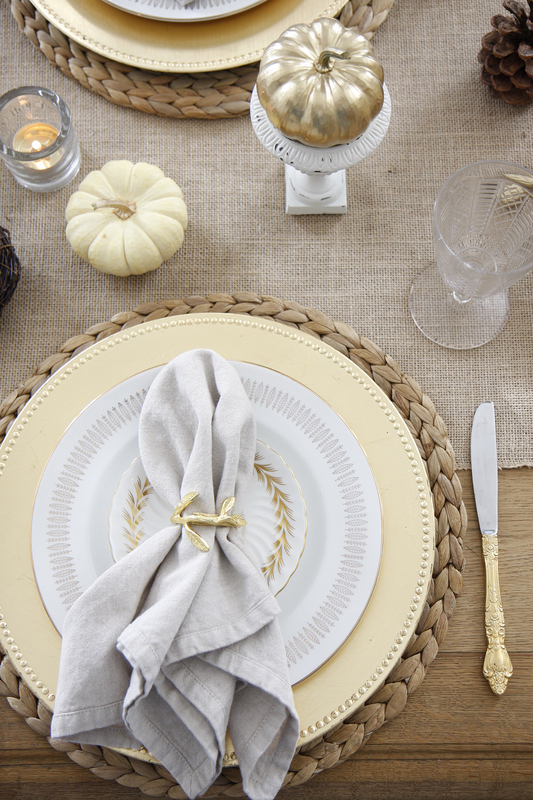 For my tablescape, I gathered items that I already had tucked away, like the pinecones and mini quail egg nests and only needed to purchase the mini pumpkins. I added some tea light candles and the table was set for a warm and inviting dinner with my family. I must confess, I have a fetish for urns of all sizes, and I was delighted to top these little white urns with mini pumpkins. 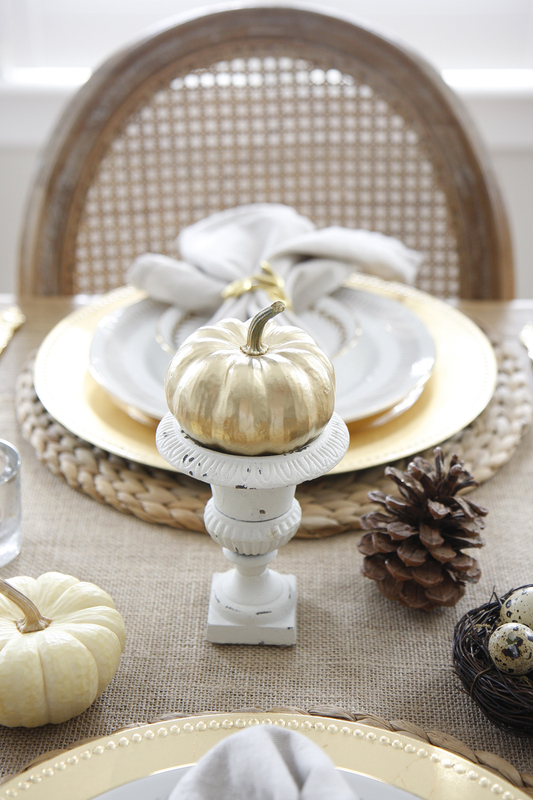 I was only able to find a few white pumpkins so gold spray paint came to the rescue to glam up the orange pumpkins. 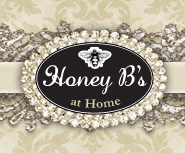 Do you have a box of dinnerware inherited from your family and buried in the garage for years? That was the case for me until I realized that the plates I received from my mom are ‘kind of cool’ after all. The white plates with the leafy band design feels very elegant and modern to me now. Wish I knew how old this pattern is, maybe from the 60’s or 70’s? If you don’t have a fireplace (like me) to display decorations, then an alternate area is the stairs. (Sorry, this might not be an option for those with small children and curious pets) Since I grew up on a farm in Saskatchewan, sheafs of wheat always remind me of the Fall harvest. The lit candles add such a wonderful glow and sparkle. 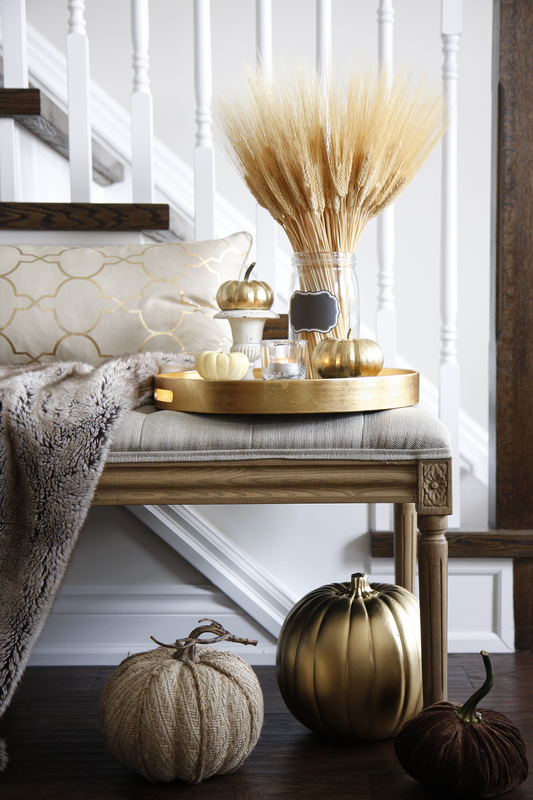 Pulling together a few of my favourite things — a decorative pillow and faux-fur throw — I created a vignette on a bench next to the stairs with pumpkins and the sheaf of wheat. Makes for a cozy and inviting spot to sit and enjoy a cup of tea with a good book.